Following the rise of the Antichrist's empire predicted in the Bible. 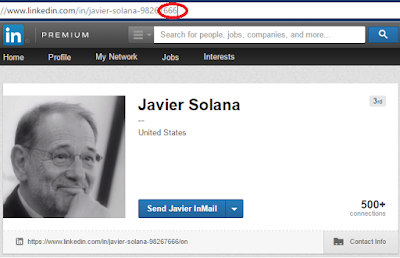 This page documents the numerous connections Javier Solana has to the number 666. This is the number of the beast in Revelation 13, and is somehow associated with him, in particular as it relates to the mark of the beast. While this page does not represent the core of the theory espoused by this website, it is possibly a breadcrumb trail provided by God to make sure we are on the right track. Many of these 666 discoveries immediately followed a prayer for wisdom by multiple different people on the fulfilledprophecy.com message board. Document 666 at the Vienna European Council recommends the creation of a new position, called the EU "High Representative." 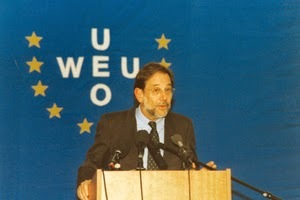 In June 1999, Javier Solana was appointed to be the new EU High Representative. He was also made the Secretary General of the 10-nation Western European Union. Recommendation 666 proposes that the WEU "crisis management" functions be transferred to a newly created EU committee, under the leadership of Javier Solana. 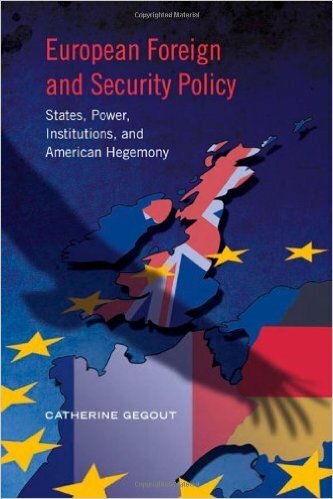 It also gave him the power to convene the Council of the European Union in an emergency. Solana overcomes the EU3 and becomes the face of the EU in the Iran negotiations. On 06/06/06, Solana was seen across major news outlets presenting a deal to the Iranians that they could potentially accept. Gold = $666.00 for all of Javier Solana's birthday (07/14/2007). 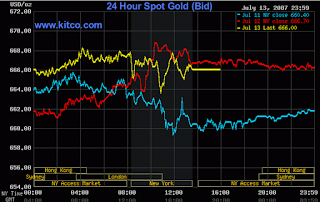 The gold markets closed out on July 13, 2007 at exactly $666.00. 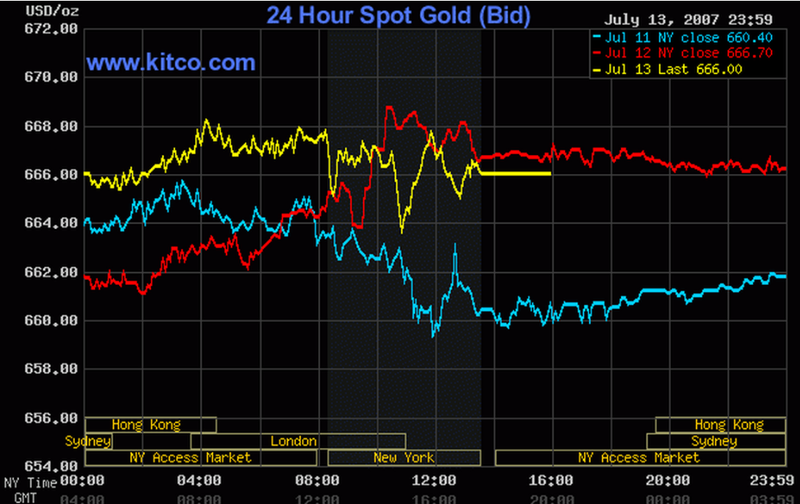 This means that the price of gold remained at $666.00 for the following Saturday, since markets were closed. That Saturday, July 14, 2007, was Solana's birthday. If I understand correctly, this was a result of a prayer for wisdom by Adamantine on the Fulfilledprophecy.com message board. Here, Solana is pictured with the members of the Middle East Peace "Quartet." You can see a "666" in the background, since the flags cover up the 0's of the 60th anniversary posters on the wall. Solana describes how China hasn't been given the place it deserves among international organizations. I found this one after praying for wisdom about Solana, even though I didn't deserve it because I had just sinned. Within two minutes, I happened upon this article I had seen before, with "666" in the hyperlink. 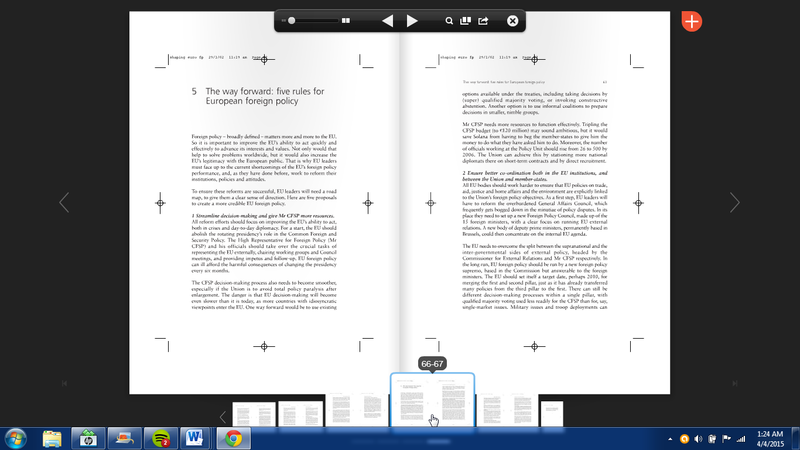 Between pages 66-67 (see where my mouse hovers), it recommends "Streamline Decision Making Give Mr CFSP More Resources" namely, Solana. I cheated with this one, by specifically Googling his name and the number 666. I discovered this one completely by accident, back when I did not believe Solana was an Antichrist candidate, but was researching his position. 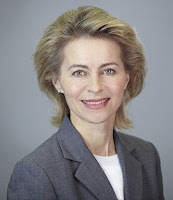 The content of this EU Defence ministers meeting had an uncanny similarity to the Solana Task Force Report that was about to be released in the following weeks. 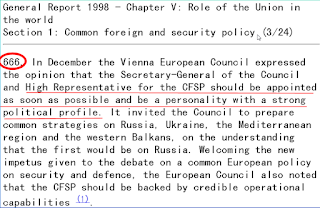 The term "European Defence Union was not widely used until the Solana Task Force introduced it. Here, the German Defence Minister is making a clear nod to Solana's plan by using the term on the heels of the task force. Javier Solana played an active role in advising the current High Representative, Federica Mogherini, in the new EU Global Strategy. 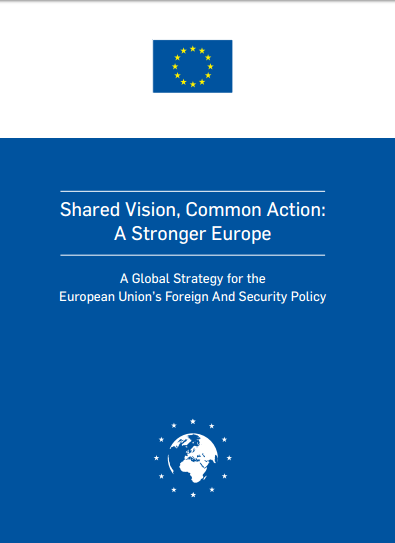 Solana has a personal connection with this, since this was the first upgrade to the strategy since Solana penned the original in 2003, titled "A Secure Europe in a Better World." The new strategy was ratified by the Commission on 06/06/16. 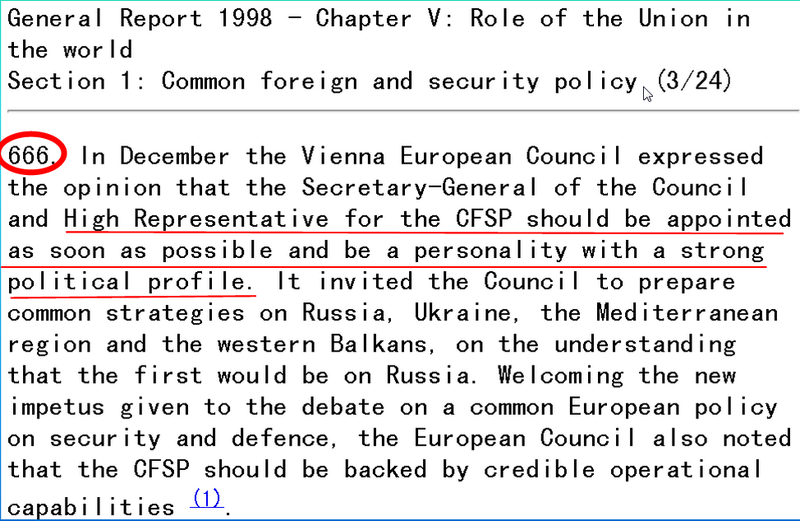 Solana was asked by the European Parliament to provide guidance on a "White Book" (policy proposal) for a European Defence Union. As a result of this, he drafted an 80 page document for the European Parliament, advising them of how to construct a Whitebook for A European Defense Union. He then presented to the European Parliament, and was warmly welcomed there on 06/16/16. View references, links, and Bibliography page here. As the saying goes, ‘money rules the world’ brothers who says money isn’t sweet will remain poor for life. I want to tell all the world how I suffered before I became a millionaire via the help of the illuminati. I came out from a very poor family and I needed to make it in life so a man I knew here in US promised to help me he gave me an email which I emailed and it says its the illuminati email so I told them I want to become a member so that I can become rich and protected. They did accept my application and then I was initiated after my initiation, I wan given first money of $2,000,000.00 USDollars and on monthly basis am now been paid $20,000.00 USDollars for working for the hood. Please are you tired of poverty and you want to change your status or you are already wealthy and you need protection of life, wealth, properties and family members? Please come join the illuminati now and get all you want. Please note that joining is totally free of charge you don’t pay a dine to become a member. To become a member email us directly on (iluminatihood123@gmail.com) come one, come all. The site has moved and changed its name! Check out www.christwillreturn.com to see the new site. See you there!